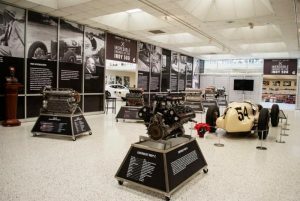 The Indianapolis Motor Speedway Museum is turning up the heat this winter with two new limited-run exhibits honoring some heroes of horsepower and a legendary fixture at the front of the field. Visitors to the Museum will experience Incredible Engines of the Indy 500, a tribute to the power plants that have propelled drivers to victory in the Greatest Spectacle in Racing, some that have become as famous as the winners they have taken across the Yard of Bricks. The exhibit includes the opportunity to see some of these famous engines up close and learn about the masterminds that designed these power plants, many of whom have taken their place in the Auto Racing Hall of Fame alongside the drivers they helped send to Victory Lane. 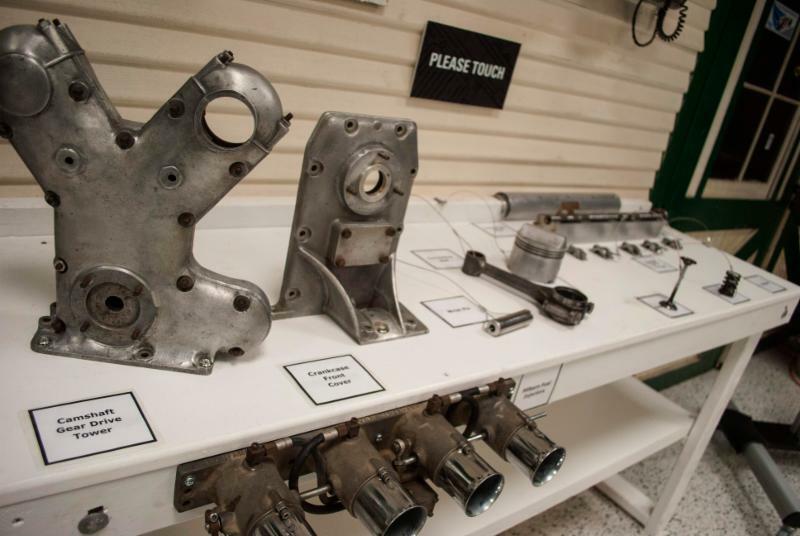 Visitors will hear the roar of the powerful Novi, and the “whoosh” of the turbine engine, while a “parts petting zoo” will offer a chance to learn more about what made an Offenhauser go. “We are pleased to give our guests the opportunity to learn about the great engines of the Indianapolis 500 and the Hall of Fame designers who enhanced performance in the machines that finished first at the Brickyard” said Betsy Smith, executive director of the nonprofit Indianapolis Motor Speedway Foundation which operates the museum. Camaro: 50 Years of Setting the Pace, presented by Bill Estes Chevrolet celebrates one of the most famous names in speed and style. The exhibit offers an opportunity to see the Camaros that have served as the official pace car at the Indianapolis 500 and Brickyard 400 up close. 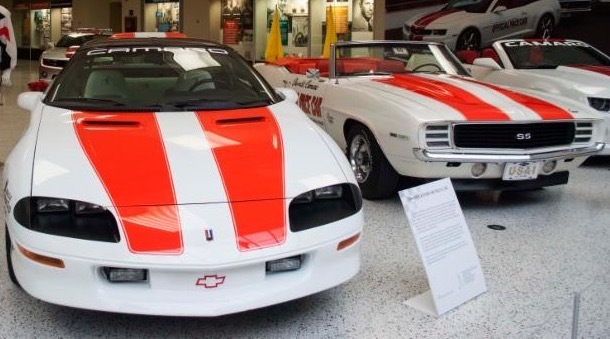 Visitors will see the first Camaro pace car, a 1967 SS convertible from the first model year of the new “pony car,” as well as the orange-and-white restyled 1969 SS convertible, one of the most popular pace cars in Indianapolis 500 history. Also on display is the Z28 Camaro that ushered in the third-generation of the famous model in 1982 by pacing the incredible race won by Gordon Johncock, as well as the SS editions that led the field for both the 100th Anniversary of The Greatest Spectacle in Racing in 2011, and the 100th Running of the World’s Greatest race in 2016. Both exhibits are now open and will be on display until April 2018.